I’m having one of those days, uninspired and unmotivated. I need colour. I need flavour. I need cheese, and not just any cheese I need oozing creamy brie. 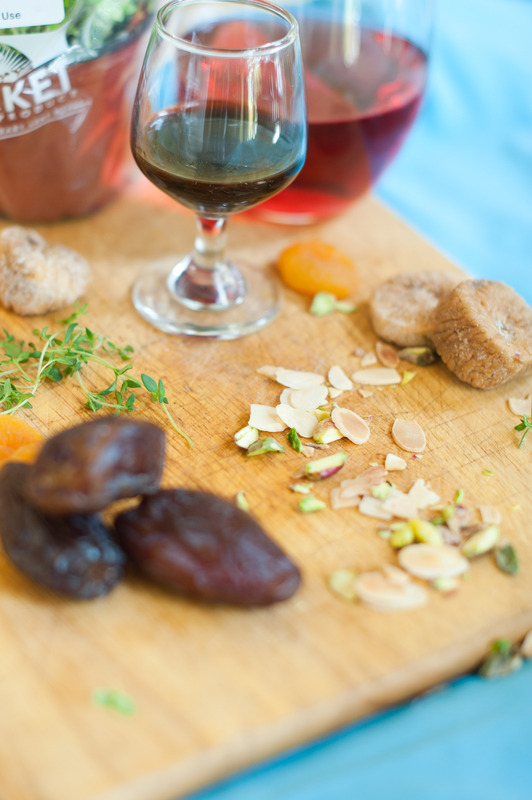 This recipe came about with a wheel of cheese that needed to be used immediately, a bottle of cider half drunk in the fridge, and a bunch of middle eastern inspired flavours that were just sitting around in the cupboard. It was all a little haphazard perhaps, but with awesomely gooey results. I dream of this Brie. Meltingly smooth, with sweet tones baked right into the cheese, a syrup that has thickened slightly, a crumble that is textural and flavours that were made for each other. It ticks all the right boxes. 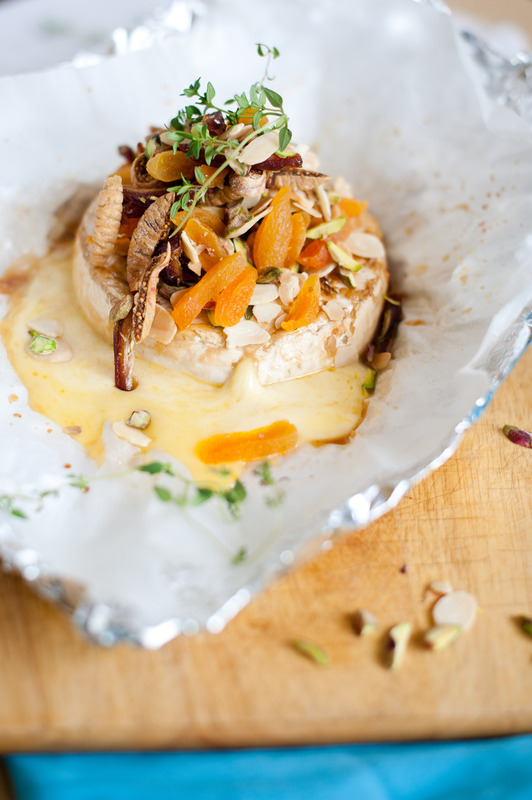 Line a piece of foil (big enough to loosely wrap around the brie) with silicone paper. Toast the Almond over a medium heat until browned. Set aside to cool and wipe out pan for next stage. 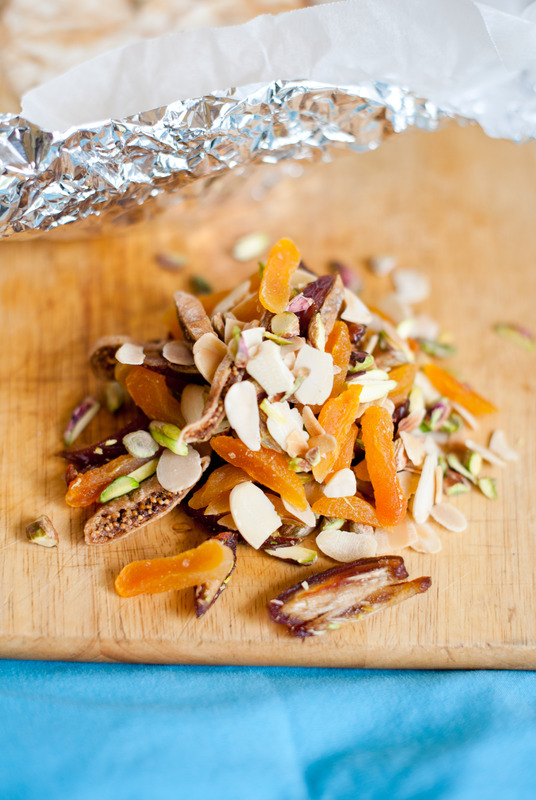 Meanwhile chop all your fruit and pistachios and combine with the almonds. Toss until mixed nicely. Place the brie into the middle of the lined foil slices facing up and cup the foil around the brie leaving the top open. Make sure there is no holes around the base of the foil. Bake for 20minutes. Remove from oven unfold the foil. Top with the fruit crumble mix, spoon over some of the syrup from around the cheese, add some fresh thyme leaves and eat immediately. Pomegranate Molasses is a dark plum coloured, sweet/tart syrup made from the reduced pomegranate juice. It can be found in good supermarkets, deli’s and green grocers, and of course online, and from Middle Eastern and Indian grocers. It is one of my favourite pantry items, it’s applications are almost endless from salad dressing to cocktail ingredient. If you can’t get hold of some blackcurrant and apple cider, I have also made this with apple and blackcurrant juice or you could just try another cider.